Name It, Claim It, Live It! It’s no big secret to most people that I am not a huge fan of winter. I mean sure, I get the necessity of having the different seasons and I can certainly appreciate the symbolism the cycle of life, but I am not a fan of the bitter cold, the snow, the ice, the howling winds and commuting in those elements. The shortened days and distant sun can be make one feel hollow and depressed. But with that said one of my favorite times of year happens to lead up to and directly follow the Winter Solstice. Of course I am referring to the season Advent and Christmas. Ironically, though this season commemorates the birth of Jesus of Nazareth, it is almost universally accepted that Jesus was not born during the cold winter month of December but at some other time during the year where the weather would be more conducive to shepherds tending their flocks in the field. Regardless, I believe this time of year is the perfect time to celebrate the coming of the Christ-child. Theologically speaking, the coming of Christ represents the coming of HOPE into the world. What better time for hope than when we are in the midst of the death. Winter has always represented death and dormancy, where the green of life gives way to the cold, hollow grip of death. Yet, it is in winter where we see the hope of Spring and the return, or resurrection, of life. Aside from the symbolic nature of the Season itself, it is also around this time that those who are Jewish celebrate Hanukkah. That holiday commemorates the Jews being liberated from Greek-Syrian oppression and the rededication of the Jewish Temple to God. This was a festival that Jesus, who was himself Jewish, observed (John 10:22-23). Following a bloody war against their oppressors, the Jews took back Jerusalem and rededicated the Temple to God. Even though there was only enough oil to keep the candles burning for only one day, those candles kept burning bright for all eight days of the festival. 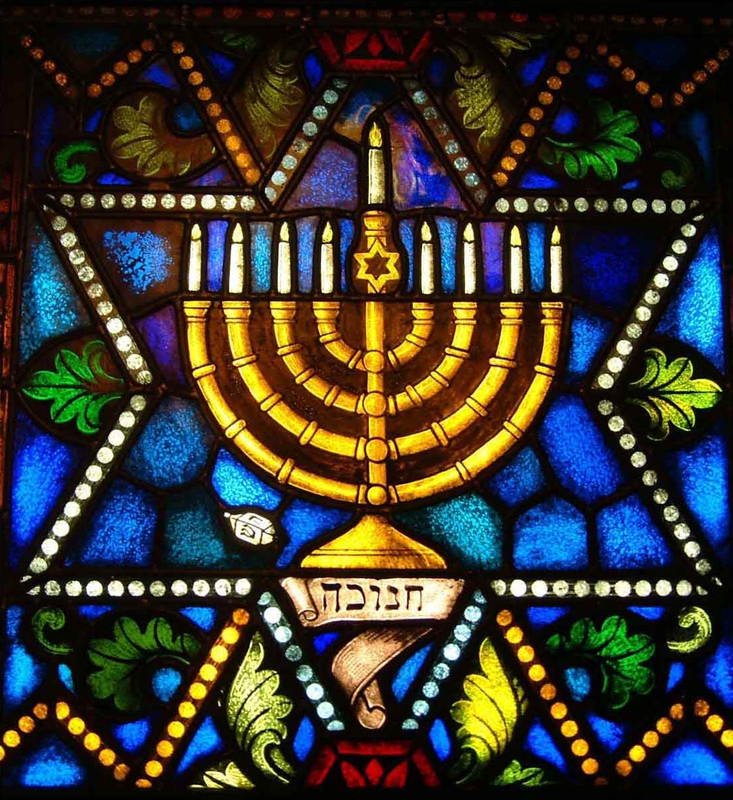 Thus, Hanukkah (also known as the festival of lights) is forever a celebration of the arrival of Hope and the reminder that God is always present with God’s people. ‘Tis the season for HOPE. Whether we look to the natural cycle of the season, or to the celebration of Hanukkah or to the humble birth of a small, vulnerable baby in a cruel and murderous world, this time of year will forever point people to the fact that HOPE never dies! Like the menorah burning on the last drops of oil, HOPE can never be extinguished. Like the birth of JEsus reminds us, no matter how small and insignificant it may seem, HOPE does conquer all HOPELESSNESS! The challenge today is for you to be a person of HOPE! Instead of getting caught up in the fears and the cynicism that the world produces, never give up HOPE. God is challenging us to place our faith in God, and to be filled with the HOPE that such a faith provides. There is HOPE for a brighter tomorrow, but more importantly, there is HOPE for a brighter NOW! Name it, claim it, and live it! Have the HOPE and allow that HOPE to transform you into an agent who bears HOPE for others! Lord, fill me and transform me with your hope so that I may be a beacon of that hope for others. Amen. Thank you for this “HOPE” devotion..it truly is God’s perfect timing for me!